With the recent prevalence of mobile games, both in the Western and Eastern markets, more and more Triple-A game developers are setting their sights on this lucrative and ever-expanding market. One such example is the recently released iOS and Android game, Terra Battle, developed by Mistwalker, with Mr. Hironobu Sakaguchi at the helm. Terra Battle is a free to play tile-based tactical RPG, and has been well received by its players. 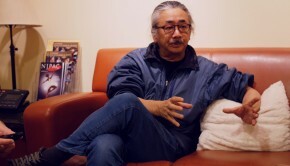 As with the majority of Mistwalker’s productions, Nobuo Uematsu has composed and produced the music for the game, resulting in a very short EP album available for download. 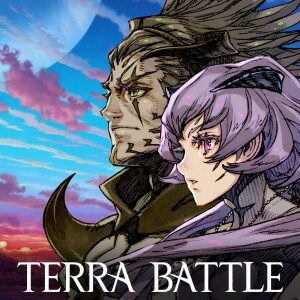 “Terra Battle,” the main theme, is the stand-out track on this EP, and is a great addition to Uematsu’s library of compositions. 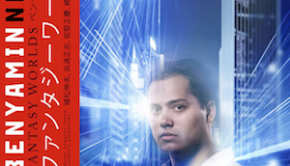 Featuring a slow build up with Taiko-drum instrumentation, and some sweeping chords before leading into the main melody, the track really pays off when the melody kicks into high gear a few minutes in. It stands out as a great contemporary theme from Uematsu, possessing a modern sound, while still containing the romanticism that he is known for. While some of the instruments, particularly the strings sound a bit too artificial, this doesn’t detract from the composition on display here in the slightest. Lastly, perhaps the most interesting sounding track here is “Beyond the Horizon,” a clam sounding theme that combines a synth-choir, a digitized singer, along with a very modern-sounding hip-hop beat. It works for the most part, though some of the more electronic elements still clash somewhat. As an EP to Terra Battle, Nobuo Uematsu’s compositions sound fresh, and all fit within this new game. However, I’d like to see more of a complete album in the future, especially due to the incentives that Mistwalker has placed in the game itself. 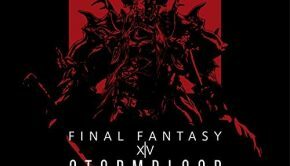 As more people have downloaded the game, new compositions by Uematsu have been added. 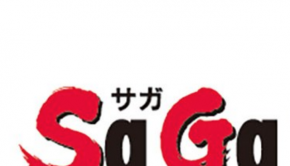 Additionally, Kenji Ito, Yoko Shimomura, and Yasunori Mitsuda have all contributed a song each to the game, making a complete soundtrack an exciting prospect indeed. In either case, this short EP is certainly worth the download for fans of Nobuo Uematsu and Terra Battle. For everyone else, there’s just not that much here to explore. Here’s hoping we see a complete release in the near future! Posted on May 9, 2015 by Julius Acero. Last modified on May 9, 2015. Nice review! I was surprised they published this right as new material was being added. 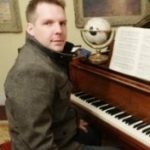 Totally agreed a complete soundtrack is needed once development is complete.